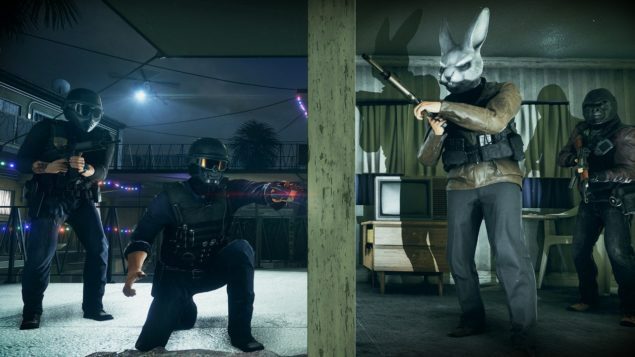 The first DLC for Battlefield Hardline is almost here. New details for Criminal Activity, including a great story based intro, have been revealed on the Battlefield blog. Blue team oriented with lots of new goodies in tow. This June we can look forward to a new add-on story to the single player portion of Battlefield Hardline in addition to four new maps for multiplayer enjoyment. The new story centers around finding a gang of criminals that have been terrorizing neighborhoods and wreaking havoc among the general public. It’s your job to help stop this activity, if you choose to do so. Detectives have uncovered evidence of a secret crime ring that could be behind all of this activity. They’re not sure why anyone would coordinate these goals – in a number of cases, the take seems to be smaller than the risk. But, orders have come down the chain to find out what’s going on and put a stop to it. Will you help the police? And of course there’s going to be a lot of new content available as part of this DLC. Keep in mind that of course this DLC is not free, by any means. But if you do decide to take the plunge (if you don’t already have Premium access) then you’ll get new maps, weapons, masks and even a new game mode. The details for the Battlefield Hardline: Criminal Activity DLC are posted below. Whether or not you think it’s worth the price of admission, is a personal decision. DLC has a long and storied history that now has a mostly negative connotation to it. However, some may find value in these small DLC packages. Expect this DLC to land sometime in June for an undisclosed amount of money. We can expect it to be around $15, however. After this there will be three additional DLC planned: Robbery, Getaway and Betrayal.